Letters from Josh Bowar and Dr. Dan Allender inviting you to the conference and special workshop. To register for this special workshop, complete the form below. If more than one person from your organization is attending, please complete the registration for each person. You are welcome to pay with one check. 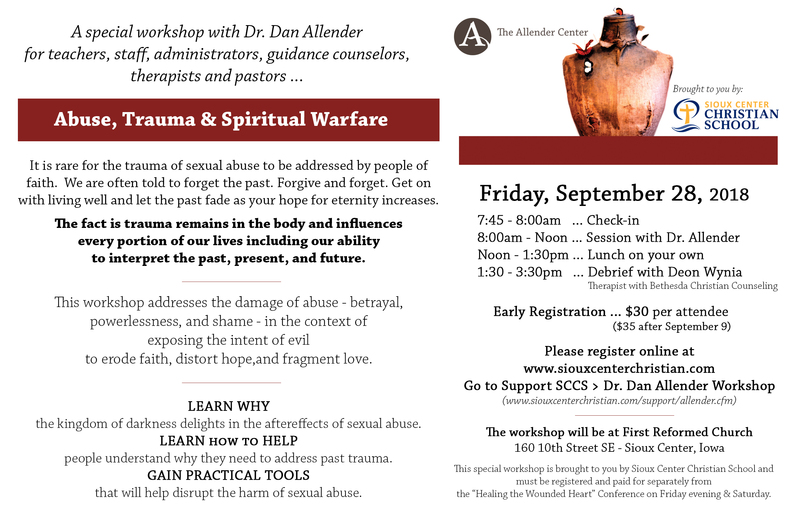 "Abuse, Trauma and Spiritual Warfare"
To register separately for the "Healing the Wounded Heart" Conference, which is Friday evening and Saturday, please CLICK HERE.